Eight months ago, Democrat former state Sen. Mike Johnston spent $8 million of Michael Bloomberg and his friend’s money to come in a distant third in the Democrat gubernatorial primary. That sort of “lighting cash on fire” approach won’t stop Johnston in his quest for his next elected office. This morning, he announced that he was challenging Cory Gardner in Colorado’s 2020 U.S. Senate race. There’s just one problem. 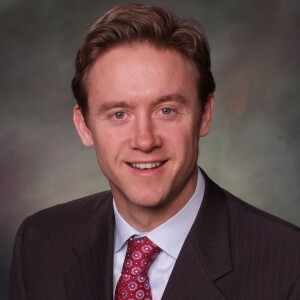 Johnston has proved that he can raise the cash, but he can’t seem to close the deal with Colorado Democrat voters. Truly, this may not be his fault. He may just be a mismatch for the radical liberal turn that Colorado Democrats have taken over the past few years. The Colorado teachers union is a powerful force within the Democratic Party. In fact, some say it’s the backbone of the party. And, that’s where Johnston will fall short with voters. He’s a Democrats for Education Reform-backed candidate, which the teachers union hates. In fact, if you recall, PeakNation, the Democrat Party tried to get DFER to remove the name “Democrat” from its name because of intra-party warfare ignited by the teachers union. Since he won’t have the grassroots, let’s hope he’s heavily armed with Instagram and Twitter accounts because, as it turns out, he’s more popular with Silicon Valley types than Coloradans anyway.